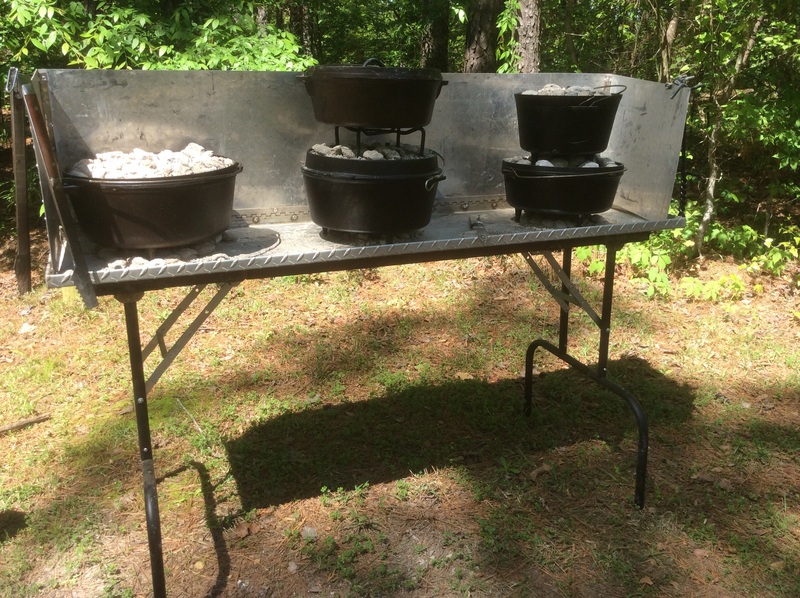 Bud built this Dutch-oven cooking table out of an old aluminum toolbox, table legs from Home Depot and old piano hinges. Total cost $25 for table legs. So far it has supported more than 500 lbs. 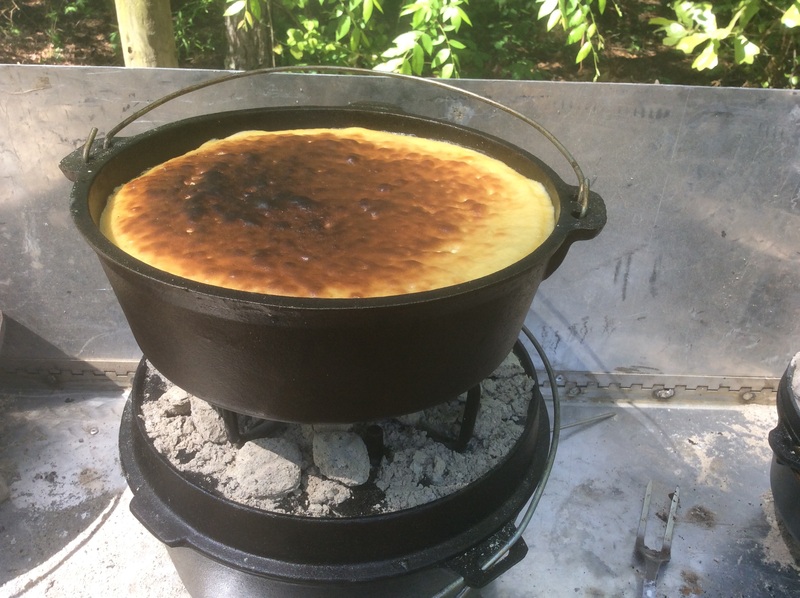 I only bought two of the Dutch-ovens new. Total cost probably less than $200. It folds flat with a handle on back for easy carry. 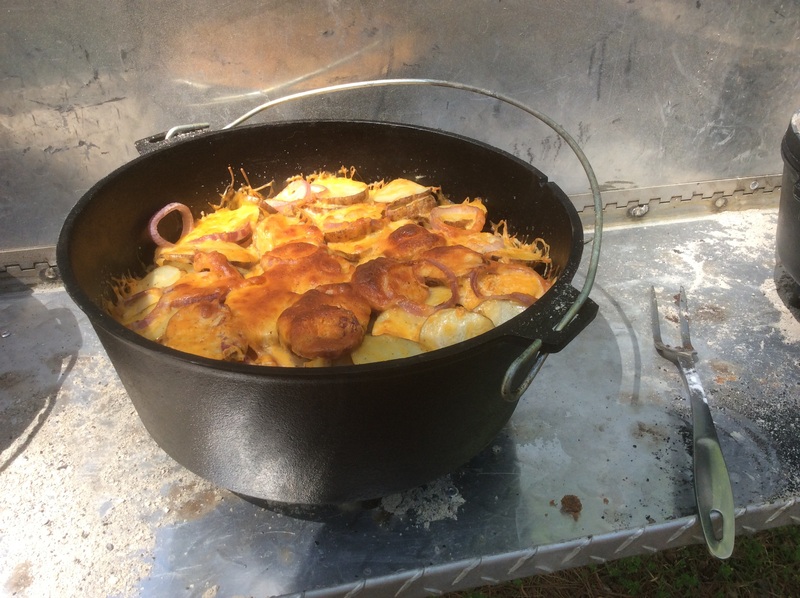 Pictured above scalloped potatoes, peach pulled pork, and peach cobbler.